Pioneering fluid head and tripod innovator OConnor, a Vitec Group brand, introduces the first product in their new line of professional camera accessories: the Cine Follow Focus Oconnor CFF-1. 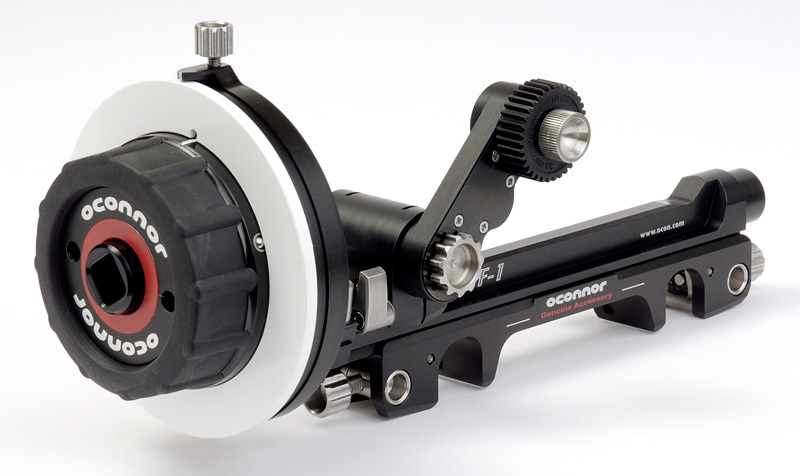 This rock solid tool represents the pinnacle of follow focus design and technology, offering unparalleled performance. The CFF-1′s multifunctional, modular design eliminates the hassle of having to juggle separate bridge plates. A single, easy to use snap-on bridge clamps effortlessly onto either 15mm or 19mm studio rod systems. (An optional LWS bridge is also available.) The OConnor integrated approach lets the operator straddle the line between both standards with ease and efficiency. With the lowest clearance available in a double-sided studio unit, OConnor’s follow focus is ideal for large diameter lenses—and protects the user’s equipment investment by ensuring compatibility with optical systems now and into the future. The CFF-1 integrates seamlessly with existing popular accessories such as whips, gears, and cranks, while creating a new standard in compatibility. Working with any lens and mattebox configuration, the CFF-1 swing arm can be mounted on either side of the bridge for maximum versatility. What’s more, OConnor’s unique main follow focus bridge slides independently of the support bridge dovetail, increasing mounting options for specialty setups.